Hey there! We are very proud to announce that our game Closure will be coming to the the PlayStation Network next spring! 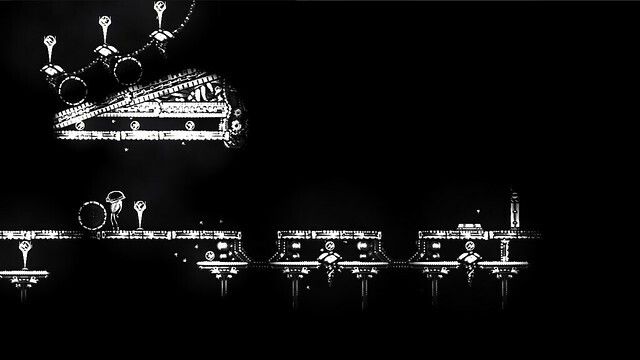 For those who haven’t been following our development these past few years, Closure is a unique and stylistic puzzle platformer that takes the concept of light and shadow and twists it up into something never before seen. You see, in Closure’s dark and foreboding universe, the only things that exist are what you can see. An object properly lit up is physically there, yet an object shrouded in darkness ceases to be. Your character can take advantage of this by manipulating lights to effectively change the shape of the world you’re in. Wanna jump through a wall? Well you can, as long as it’s in darkness. Some of you might be wondering, “Wait, haven’t I played this game before?” You may have. Closure began life as a small and simple web game posted online at the end of 2009. The game was successful enough that we decided to take the unique concept of the game, remake it from scratch, and build it into a much larger, more interesting, and much more polished full sized game. This new version features around 100 puzzles, includes many new and interesting mechanics, an amazing award-winning soundtrack, multiple characters with different stories, beautiful new hand-drawn art, and much much more. If you like mind-bending puzzles or just want to try something new for a change, you’ll definitely want to check out Closure next spring! In the mean time, you can follow us on Facebook or Twitter for more screenshots and updates! Also, if you’re coming to PAX this weekend, you can come play the game at booth 599! Looks pretty trippy. Not gonna be a PAX but I hope there’s a demo in the future. First off, Tyler, welcome to the PSB! Now then, this game looks interesting! I love games that make you think. I would, of course, like to know if we can expect a demo for this, as I won’t be at PAX this year (this will be the last year I’m able to say that). Spring!? Why so long? Oh well, I can wait; it’s not as if there aren’t roughly 8,000 other games I have to play between now and the end of this year. Oh….actually, it’s a lot like that. Anyway, again I say welcome, and I’m looking forward to hearing more about this game in the coming months! I’m pretty sure i played this on the computer. It looks a lot cooler here though. Actually read the article and I googled closure game. I recommend going and playing it now. It’s awesome. I love games that make me want to buy them just for their art style. Solid platforming would be icing. looks like LIMBO on crack. hahahaa yesss HGX i actualy was thinking that myself. for a second i was thinking psn was on the edge of ending for some reason…. Can indie devs make anything other then 2D platformers? @9 I agree…. that’s like really all you see coming from these people. I guess limbo spurred this on cause you’re seeing a lot of dark black/grey/white platformer games coming out. Developers really need to realize that cloning a game is not going to get you famous or make you great money. Look at the COD clones ffs. Play the PC version while you wait. It’s pretty cool. this will gonna be awesome…I love games like this and for sure I’ll check this game out…Keep it up the great job guys. Its lookin pretty darn awesome! Can we use the Move? Wow, the lightning and rain looks amazing. Is this gem a PSN exclusive??? You know what I thought we I read the title of the article wtf PSN is going down again!!! And then I read it and realized it was just a game haha. Since it has award-winning music, does that mean we can look forward to hearing it in a high-quality format such as FLAC or 320kbit/sec Ogg? Will it be 24-bit? Looks like a great variation on the Echochrome ii mechanic, which I loved. If the audio and visuals both take advantage of the PS3’s unique HD capabilities, this will be a day one purchase for me. The music is in high quality ogg files, there’s actually multiple tracks per song which fade in and out based on context. Looks like Limbo and Outland combined. I miss Kevin Butler. Where did he go? Oh. I remember this. It was featured on several other websites before vanishing into the mists of the internet. Well, there is always room for one more game to get the HD/Console update. Really happy to see this coming to PSN. Hope to see more indie games on the service in the future. Would also like to see Vessel, Coma, Machinarium and Amnesia:Dark Descent on PSN, to name a few. keep up the great work…. I read ‘Closure hits PSN…” and almost threw up my breakfast. Ah… it’s the name of a game. And a very promising looking one, too. This looks like it’s going to be really complicated. I want it. I’m really tired of people comparing every black and white game that comes out, with Limbo. If you read the article the game began as a flash game back in 2009 that was waaayyyyy before Limbo launched, plus games can be in black and white, 2D sidescroller, whatever. It’s the developers choice AND we have tons of unique games like Journey, Okabu, Papo and Yo, DYAD, and Beat Hazard Ultra that AREN’T 2D sidescrollers coming out for PSN. @31: Amen. 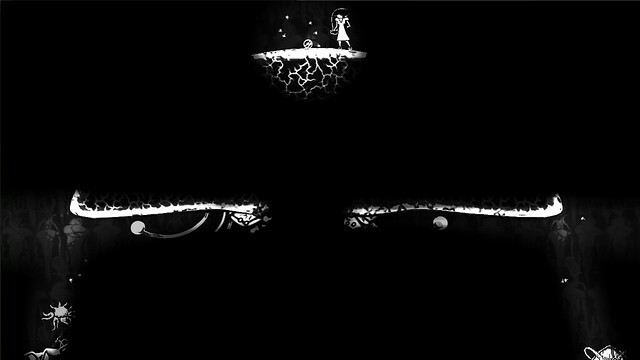 Plus, this doesn’t look that much like Limbo in the game mechanics anyway. It’s like they see black and white and just jump on the “it’s a copy” bandwagon. Limbo meets Echochrome… I like it.